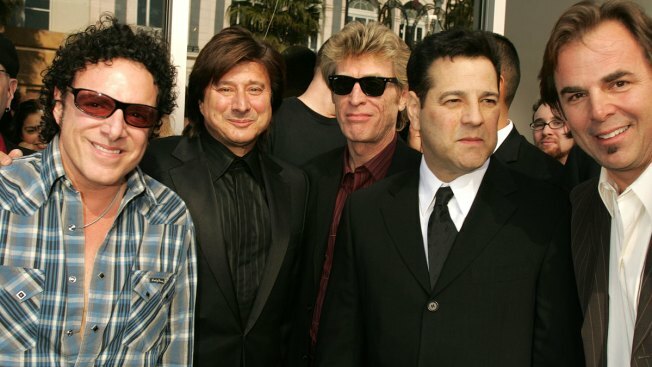 Journey keyboardist Jonathan Cain says former singer Steve Perry will be in attendance when the band is inducted into the Rock and Roll Hall of Fame. Cain tells the Dayton Daily News that "the ceremony is the first time we're going to get to see Steve Perry in a long time." As for the prospects of Perry performing with the band, Cain said that, as far as they know, Perry is "just going to accept the award and then skedaddle." He says current singer Arnel Pineda will "represent well." Perry led the band to the height of its popularity in the 1980s with hits like "Don't Stop Believin'" and "Faithfully." Journey will go into the Rock Hall on April 7 alongside Yes, Electric Light Orchestra, Joan Baez, Tupac Shakur and Pearl Jam.